Ben Says: Hamish is tremendous value without doubt. Priced at $297,800 in RDT and $344,700 in AFL Fantasy, McIntosh will for the first time pull on the blue and white hoops this Thursday. He has previous averaged 90 over 22 games in 2009 and 80 over 20 games in the following season. When on song, Hamish is a premium ruck. The issues lie in his terrible durability and the selection pressure he’ll have coming his way from emergency Dawson Simpson. In an interview with Scott last month (which can be read here), Scott ‘guaranteed’ that neither of them would play a full season. This suggests that whilst Hamish might be perceived as number 1, don’t expect more than 16-18 games out of him. Simpson will get his fair share of time as the number 1 ruck; to not only develop himself, but rest an injury plagued Hamish at opportune times. Will he score well with no Simpson this week? He certainly will. Will he be dependable later on in the season, no one can be quite so sure. Getting ready for his 250th match, Brownlow and Norm Smith Medallist Jimmy Bartel spoke to the media and had this to say on his role for the season ahead. Ben Says: Now in all fairness Jimmy has been very versatile throughout his career. Many have questioned whether he’s worthy of having back, midfield and forward eligibility at stages. Nonetheless for the vast majority of his seasons he has continually played a similar role from week to week. Last season he was in defence, the year before he played in the forward line, and not long before that he was playing in the middle. Nowadays it seems he might play a bit of everything within a game, let alone a season. This will likely lead to up and down scoring from the $519,000 (RDT) and $514,900 (AFL Fantasy) priced back eligible 30 year old. He’s good enough to deal with it, but due to his general scoring patterns which have seen him decrease his yearly output slightly yet consistently since reaching his peak in 2007, he may prove to be a better upgrade target. Guy McKenna’s press conference after their first up win against the Tigers, spoke candidly about what Swallow produced and in turn the importance he places on the former number 1 pick. Ben Says: David Swallow demanded praise after a barnstorming second half which helped him to a stellar 115 points. He spent large portions of the last term in a half forward role, which he later suggested was far from premeditated as he lacked opportunities to get into the midfield rotations. On this performance, given he’s priced at an average of 69 in both competitions, he’s someone everyone will be keen to have heading into the first price rise. Watch him in Round 2 if you don’t currently have him and if he’s getting solid midfield minutes, use a trade to get this star in! Hibberd– has pulled up well from his hamstring injury earlier in the preseason. Will be right and ready to go off the half back flank for the Bombers. Grab him if you’re keen for a point of difference top 10 back! Gleeson– playing a half back wing role and looks a genuine option for the midfield bench. Thompson is very keen on him and given the fact that he’s had two years to develop on the Bombers list, the time is now for Michael to shine! Z Merrett– likely substitute role but that might not be a defining factor in slotting him on your forward bench early! He’s averaged very high points per minute and given his undeniable talent, it may just be a matter of time before he’s rated a best 18 player. McDonald– named on the bench but expect him to play a full game. Another no brainer pick. Goldstein– Todd’s scoring levels may well be determined by the second ruck position. Given Daniel hasn’t been picked, you’d think Todd is a good option for the Fantasy free hit and maybe beyond. Currie– missed out on selection this time around, but given the absolute dearth of options it may be best to hold. He’s close to a game and will get one sooner rather than later. O’Brien– great for the full forward to get an early season debut. Don’t expect his job security to be awfully high, especially when the more seasoned players start entering the fray. Wanganeen– priced as cheap as they come, Derrick is a realistic option for your midfield benches. He produced an incredible 109 against the Roos in NAB3 off half back. Langford– named on the field in the on ballers column. Really enough said, throw that key away! Taylor– wow the fact that this guy has been picked after a less than perfect preseason, shows the incredible amount of faith the lions have in him. Mid/fwd eligible, he averaged 31 touches in the TAC Cup last season. Get on NOW! Aish– this kid has great job security and reasonable scoring potential but unfortunately comes at a premium price. Expect a 70 average from James, and although he won’t be the most picked rookie this season, he may well prove to be the best. Hickey– no Longer means ruck minutes aplomb for this youngster. Given it seems he’ll be entrusted with the sole role, he has to be considered. Dunstan– named in the middle of the park, he’s just about got to be a lock for the beginning of the season. Luke has great job security and is a decent chance to get off to a stellar start against the Dees. Billings– Jack gets a run but expect him to receive the green vest in his debut. Given his preseason was far from perfect, I’d avoid early on. Watts- Jack has been named in the middle, as Roos suggested he would play. Cheap stats should be on offer against the Saints so he certainly has to be considered, especially with the free hit in mind. Tyson- named in the middle, Dom will be on-ball all game long. Need I say anymore after that preseason, another one we can lose the key with. Georgieu- Alexis gets his chance off the rookie list. Expect him to man one of the Saints smaller forwards throughout this encounter. A quality performance by him will see his job security sky rocket. Michie- starting on the bench I think we all know exactly what Viv can provide this season. Expect solid numbers, because the ex-Docker will deliver! Kennedy-Harris- expect Jay to get off to a great start in his new Red & Blue uniform. Starting on the bench, Jay may be a candidate for the green vest. Ellis- named off the half back flank, expect Xavier to produce another quality performance after his perfect preseason. Very startable, especially in the wide expanses of Patterson’s Stadium. Sheed- named on the extended bench, so wait to see whether he’s named or not. Certainly worthy of consideration for those looking for a little point of difference. Naitanui- named on the extended bench. Will play solid minutes, but will also be brought back slowly and as a byproduct don’t expect the same time on ground as usual. Higgins- on the half forward flank, Shaun will almost certainly play half back. Like Ellis, given the wide expanses he has to find space, be expectant of a good score from the injury plagued Dog. Honeychurch- named on the extended bench. Expect him to get a green vest if named in the final 22. Avoid at this stage. Thanks for reading. Remember to follow me @B_Gogos! 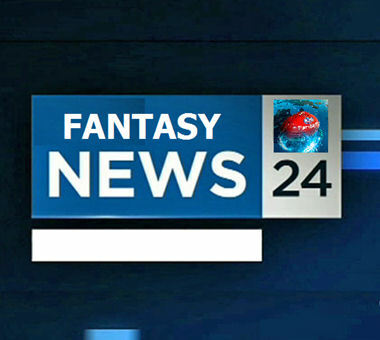 Just a heads up that you can find the live AFL Fantasy Radio here from 7PM onwards Friday night. Be sure to tune in for some quality content! OVER RATED BIG TIME NEVER WOULD HAVE HIM.. UNCONSTISTANT LAST YEAR.. HELL NO…. gaff mcrae or savage this week??? Who is this ‘Bobby’ muppet? Take your caps lock off and go somewhere else with your rubbish. Sorry, where are my manners… Great article Ben. I think you are on the money with most of your calls, except if we take your advice on the people that we are meant to ‘throw away the key’ with, then we may have too many people. :) But I agree on most. Must admit I’m now a little worried about Michie getting the green vest. What makes you think it will go to JKH? Just another f**kwit. I’ve done the calculations and I’ve come to the conclusion that 97% of his posts don’t make sense. Solid chance he is related to nick. A few spots left. Good players only please!! at the end of this round do we get unlimited trades before round 2 lockout???? Avoid the confusion and play the Real man’s game. Will Langdon get subbed off? One of your better articles Ben! Thanks heaps champ. take polecs 85 as emg loophole or should i back in ellis to go 85+? God, take that score, it’s only round 1 ppl, settle, but yeah take that score. Please go for Ellis, its only a huge statistical gamble that you may boast about if it comes off, much like someone who wins the pokies occasionally. play langford or mcdonald on the field? H Mac FTW! 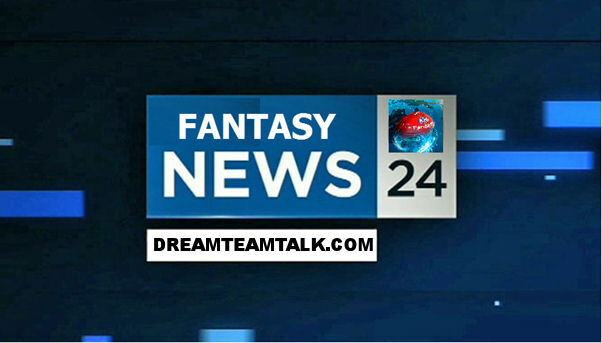 Anyone keen to join a afl fantasy league, code is RX6VJHTD. Players so far generally finish top 2000. Sorry to post this here but really need to fill our Real Dream Team league ASAP. 5 spots available and should be competitive. macrae, shiels or savage for the free hit and why? I have gone for Macrae, but was line ball with Shiels. The only thing holding me back from Shiels was that he can play the tagging role. Pretty sure Langford will get that tagging role (and Wallis for the dogs), so really down to personal preference. RDT league 890633 – 3 spots left for those who’ll go the distance. Sorry if I’m in the wrong place, but I really need help. I’m playing fantasy any I want to get fantasy coach. I can’t download it from the app cos it’s purpled out and won’t let me access it. I’ve been searching for it on the net, but i keep going back to the site I originally downloaded the app from. I’ve been searching for over a week strait, and am tearing my hair out. I’ve posted this before, but have had no replies, can someone please help me?